Are you ready to move but don’t want to damage your vehicle in the process? Let us provide the truck and driver for you. All you need to do is rent a storage unit of any size for a minimum of one month, and we’ll provide the truck and the driver. We’ve eliminated the possibility of mishandling by movers, so you can have total confidence in the transportation of your items. Call or visit the main office for further details. 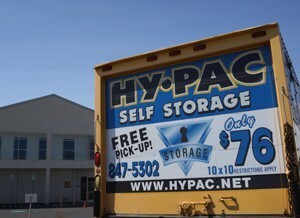 Hy-Pac Self Storage is a statewide leader in self-storage services. Our goal is to ensure value and satisfaction for our customers by providing quality, growth and integrity. Hy-Pac Self Storage is a self-storage leader for many reasons. We like to think that the primary reason is due to our quest to provide the best possible service to past, present and future customers. We will try to meet each and every customer need, as it relates to honoring commitments and responsibilities, respect, continual growth, and all areas that affect the best interests of our company. We are open 7 days a week. We are conveniently located on 2150 N. Nimitz Highway, just minutes from downtown or the airport. 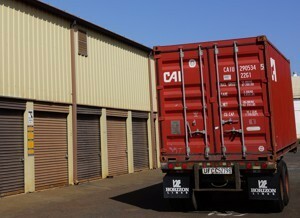 Whether you’re relocating or arriving to Hawaii to make it your home, or perhaps receiving merchandise for your business, we can help you by accommodating ocean freight containers. 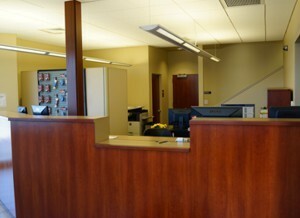 Call or visit the main office for any further questions that you may have.